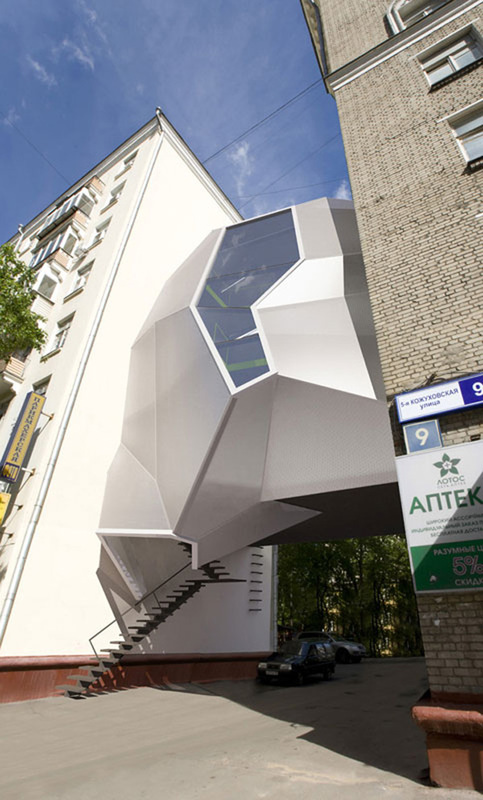 Intriguing project of the office that parasites on the neighboring buildings was created by Arseniy Borisenko and Pyotr Zaytsev from Russian design studio Za Bor Architects. 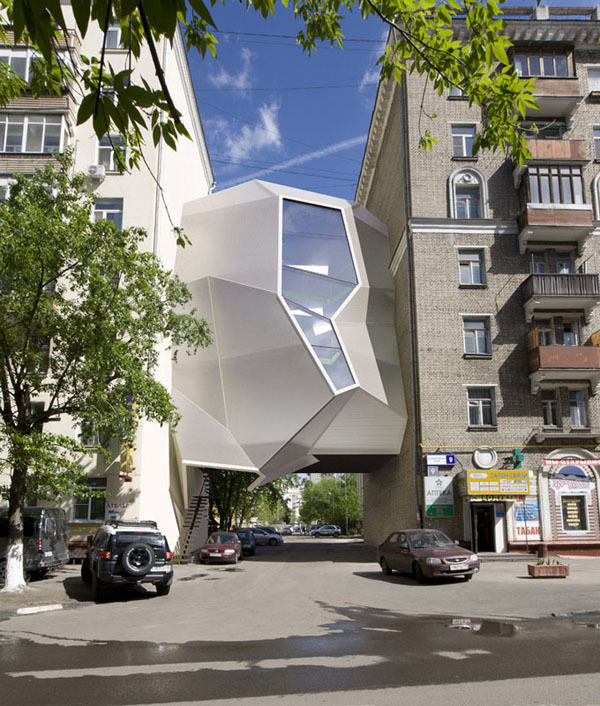 Za Bor Architects‘ Arseniy Borisenko and Pyotr Zaytsev have come up with the office project for Moscow that sees utilization of free space between the neighboring buildings. The office-parasite is connected to two buildings that are located adjacently not however blocking the way for people and transport. So the construction looks like the two buildings are connected by the construction hovering in the air between them, whereas in fact the entrance is located outside the buildings at the side of the office-parasite. 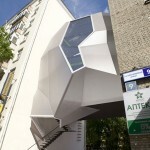 Za Bor Architects‘ first office-parasite will inhabit their own workshop. 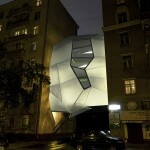 The front facade is to be made of light and solid polycarbonate, the other side of the construction will flat and glazed. The project is challenging but yet exciting. 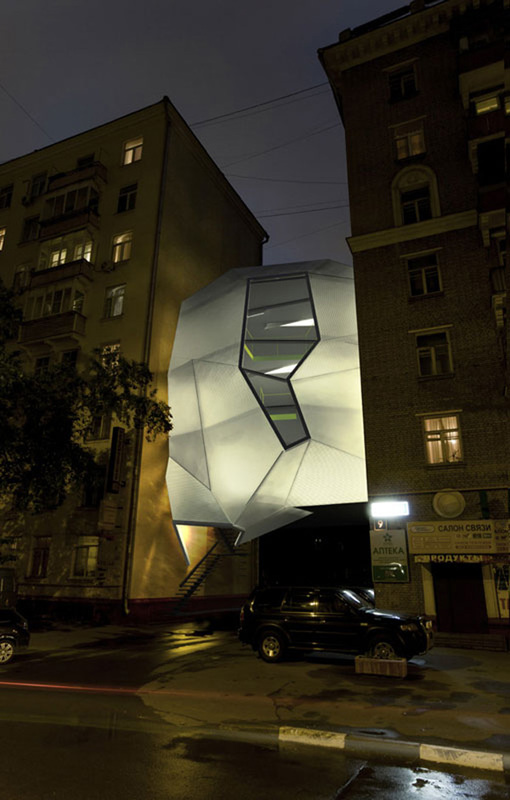 The project has already received recognition at Arch Moscow 2011 exhibition as it came second in the nomination for Best Architectural Project. What do you think? Is it a good idea? How will it change the landscape of the city if more and more such parasitic offices to be built? Super post:) and nice domain name as a matter of fact!